I have been meaning to read Pat Barker’s Regeneration – the ‘classic exploration of how the traumas of war brutalised a generation of young men’ – for such a long time, but only got around to it very recently. Probably her most famous novel, Regeneration has been considered a modern classic since its publication in 1991, and is the first book in a trilogy of the same name. The book has been highly praised. Margaret Forster calls it ‘a novel of tremendous power’, the Sunday Times ‘brilliant, intense, subtle’, and, fittingly, Time Out heralds it ‘a fine anthem for doomed youth’. Set in 1917 at the Craiglockhart War Hospital in southeast Edinburgh, Regeneration takes as its focus three very well-known figures – Dr W.H.H. Rivers, who pioneered shellshock treatment for soldiers, and two war poets, Wilfred Owen and Siegfried Sassoon. Robert Graves also makes odd appearances throughout. Barker has also created, alongside these figures, the character of Billy Prior, unable to speak and only able to communicate on paper, who feels just as realistic. Rivers’ job is to make the men in his care healthy enough that they can be returned to the Front. ‘Yet the closer he gets to mending his patients’ minds,’ the blurb continues, ‘the harder becomes every decision to send them back to the horrors’ which await them. Justine Picardie writes that ‘what gives the novel its authenticity is Pat Barker’s impressive ability to capture her characters’ voices and moods.’ Indeed, Barker has a wonderful understanding of each of her characters, whether historical figures, or invented ones. Her interpretation of them made them feel highly realistic, and at points in conversations – particularly those between Owen and Sassoon – I had to remind myself that I was not reading a piece of non-fiction. Other reviewers have commented upon the language used in the novel, believing it to be too simplistic. However, this was not the impression which I received. There are a lot of poetic descriptions, and the dialogue particularly is filled with nuances and undercurrents. The more stark, matter-of-fact language which has been used at odd times serves to highlight the horror of wartime. Given the nature of the book, I felt as though the balance which Barker struck between these descriptions and the examination of her characters was perfect. The moments of dark humour, which can be found from time to time, also worked very well. Regeneration is very well situated historically, and scenes are vividly set in just a few sentences. One of Barker’s particular strengths here are the comparisons which she makes between wartime and civilian life, particularly with regard to way in which she shows how quite ordinary things can be triggers for what soldiers had experienced in the trenches. When a character named Burns is travelling on a bus, to give one example, she writes: ‘A branch rattled along the windows with a sound like machine-gun fire, and he had to bite his lips to stop himself crying out.’ She also demonstrates an impressive emotional range in her explorations of isolation and freedom, wellbeing and mentality, nightmare states and hallucinatory moments, and the profound effects which each of these things can cause. I had a feeling that I might regret leaving it so long to pick up Regeneration, and I am. It is a stunning novel, compelling from the outset, and filled with moments of harrowing beauty, and poignant reflections on conflict and its worth. I already have the second book in the trilogy, The Eye in the Door, on my to-read pile, and am very much looking forward to continuing with it sooner rather than later. I imagine that it will be just as moving as Regeneration proved to be, this wonderful mixture of fact and fiction, in which Barker is constantly aware of the significance of every tiny thing. 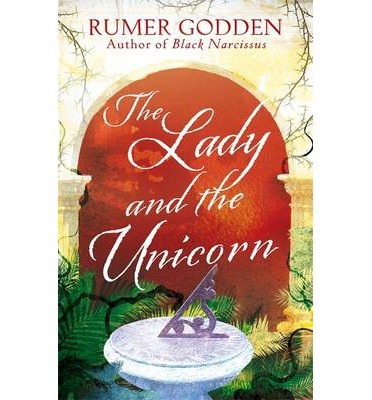 Rumer Godden’s The Lady and The Unicorn, which was first published in 1937, is the 630th entry upon the Virago Modern Classics list. As with The River and The Villa Fiorita, both republished by Virago at the same time, The Lady and The Unicorn includes a well-crafted and rather fascinating introduction penned by Anita Desai. After setting out the author’s childhood, lived largely in India, Desai goes on to write about the influences which drove Godden to write over sixty acclaimed works of fiction, for both children and adults. Desai states that Godden ‘cannot be said to have been ignorant, or unmindful, of her society and its role in India. In no other book is this made as clear’ as it is in this one, a novel written ‘in the early, unhappy days of her first marriage’. Desai then goes on to write that ‘the contact with her students [at the dance school which Godden opened in Calcutta], their families and her staff taught her a great deal about the unhappy situation of a community looked down upon both by the English and by Indians as “half-castes”‘. The Lady and The Unicorn faced controversy upon its publication, with many English believing her ‘unfairly critical of English society’, and others viewing ‘her depiction of Eurasians’ as cruel. Her publisher, Peter Davies, however, deemed the novel ‘a little masterpiece’. The Lemarchant family are Godden’s focus here; ‘neither Indian nor English, they are accepted by no-one’. They live in the small annex of a fading ‘memory-haunted’ mansion in Calcutta. The widowed father of the family is helped only by ‘auntie’ and a servant of sorts named Boy, an arrangement which causes misery for all: ‘There were so many ways that father did not care to earn money that the girls had to be taken at school for charity and the rent was always owing… No matter how badly he [father] behaved they [auntie and Boy] treated him as the honourable head of the house, and auntie complained that the children did not respect him as they ought’. The way in which the family unit is perceived within the community is negative, and often veers upon the harsh: ‘The Lemarchants are not a nice family at all, they cannot even pay their rent’ is the idea which prevails. The three daughters of the Lemarchant family could not be more different; twins Belle and Rosa are often at odds with one another, and the youngest, Blanche, is treated no better than an outcast. Blanche is described as ‘the family shame, for she was dark. Suddenly, after Belle and Rosa, had come this other baby like a little crow after twin doves. Auntie said she was like their mother, and they hated to think of their mother who was dead and had been dark like Blanche. Belle could not bear her, and even Rosa was ashamed to be her sister’. Of the twins, Godden writes that Rosa, constantly overshadowed by her twin sister, ‘could never be quite truthful, she had always to distort, to embroider, to exaggerate, and if she were frightened, she lied’. The family in its entirety ‘were sure that Belle was not good, and yet at home she gave hardly any trouble; it was just that she was quite implacable, quite determined and almost fearless… Belle did exactly as she chose. When she was crossed she was more than unkind, she was shocking’. The divisions within the family therefore echo those which prevail in society. The sense of place is deftly built, particularly with regard to the house in which the Lemarchants live: ‘There was not a corner of the house that Blanche did not know and cherish, all of them loved it as if it were their own; that was peculiar to the Lemarchants, for the house did not like its tenants, it seemed to have some strange resentment’. Of their surroundings, of which the girls know no different, Belle sneers the following, exemplifying her discontent: ‘We know a handful of people in Calcutta and most of them are nobodies too. What is Calcutta? It is not the world’. There is not much by way of plot here, really, but the whole has been beautifully written, and the non-newsworthy aspects of the girls’ lives have been set out with such feeling and emotion. The Lady and The Unicorn is a captivating novel, which captures adolescence, and the many problems which it throws up, beautifully. Part love story and part coming-of-age novel, Godden is shrewd throughout at showing how powerful society can be, and how those within it often rally together to shun those ‘outsiders’ who have made it their home. I don’t tend to read much children’s fiction nowadays. Regardless, I really do enjoy it, and every now and then, something aimed at younger readers really catches my eye. Monsters by Emerald Fennell was such a book. The sparsity of its blurb made it sound deliciously creepy, and I have seen favourable reviews from a lot of fellow adults who have succumbed to it. From the outset, I was reminded of The Wasp Factory by Iain Banks; yes, it is aimed at a different audience entirely, but there are rather a lot of similarities with regard to the narrative voice and the uneasiness which sets in almost immediately. The matter-of-fact way in which it opens, too, contributed to the comparison for me: ‘My parents got smashed to death in a boating accident when I was nine. Don’t worry – I’m not that sad about it’. When her parents are killed, the narrator goes to live with her grandmother: ‘The good thing about living with Granny is that she has no idea about twelve-year-old girls and what they should be reading or watching on the television, so she lets me sit up with her and watch gory films while she picks the polish off her nails and feeds it to her dog, John. John is permanently at death’s door but never actually hobbles through it’. Monsters is filled with dark humour, such as the above. The voice of our unnamed narrator was engaging as much as it was detached from things going on around her: ‘Mummy was obsessed with being thin – it was the thing she was most proud of. At meal times she only ate peas, one at a time, with her fingers’. There is a grasp of reality here, but whilst in charge of her own thoughts and feelings, the narrator is very much led. When she meets fellow twelve-year-old Miles Giffard, who is holidaying in the Cornish town of Fowey where she is staying with her aunt and uncle, another darkness entirely enters the novel. Our narrator has a vivid, and often rather frightening, imagination: ‘I really like my school but, honestly, sometimes I think it would be better if someone just burned the place to the ground’. With Miles in tow, she soon has a fascination with murder, which is piqued when female bodies begin to wash up upon the beach. She and Miles decide to investigate, and churn up horrors from which most twelve-year-olds would run away screaming. The narrative voice feels natural after the first few pages, but some of the comments which the protagonist makes either startled me, or caught me so by surprise that I ended up snorting with laughter, such as with the following: ‘Sometimes I’m so tired I can barely move or think straight. But it gets better after I’ve had a couple of strong coffees from the buffet. Jean doesn’t approve of twelve-year-old girls drinking coffee, but truly, Jean can get fucked’. Fennell is a talented writer, whose characters – young and old – felt immediately realistic. She has such an awareness of her narrator, and has crafted a book which is really chilling at times, even to those who fall several (ahem) years outside of her target demographic. The plot and pace within Monsters are faultless, and the reader is always aware that something sinister is on the horizon. Monsters is a real page turner, for audiences young and old(er). I could never quite guess where it would end up, and it kept me surprised throughout, particularly with its clever twists and its fantastic ending. ‘Set in England and Hong Kong in the 1920s, The Painted Veil is the story of the beautiful, but love-starved Kitty Fane. When her husband discovers her adulterous affair, he forces her to accompany him to the heart of a cholera epidemic. Stripped of the British society of her youth and the small but effective society she fought so hard to attain in Hong Kong, she is compelled by her awakening conscience to reassess her life and learn how to love. The Painted Veil is a beautifully written affirmation of the human capacity to grow, to change, and to forgive. Have you read any of these? Which are your favourite books which deal with the British Empire and colonialism?